This statistic illustrates the results of a survey concerning the benefits and risks of anonymity online, which was conducted in France in February 2015. 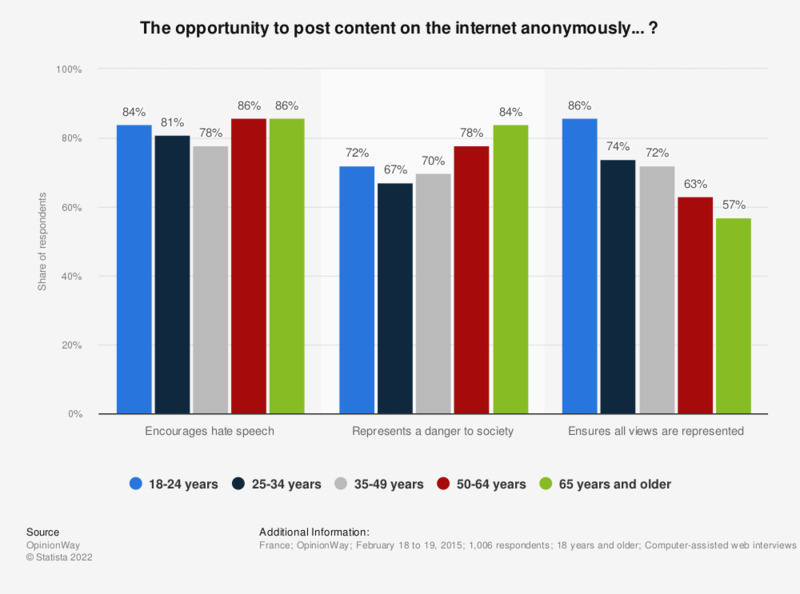 With regard to the age group, it shows that 84 percent of respondents aged 65 and older believed that the opportunity to post content on the internet anonymously represented a danger to society. Nowadays, would you say that the information provided by the following sources are credible or not credible?